Two Benriach’s for today. The distillery has gone from being closed in 2002, to being a Billy Walker star to now being bought by Brown-Forman. 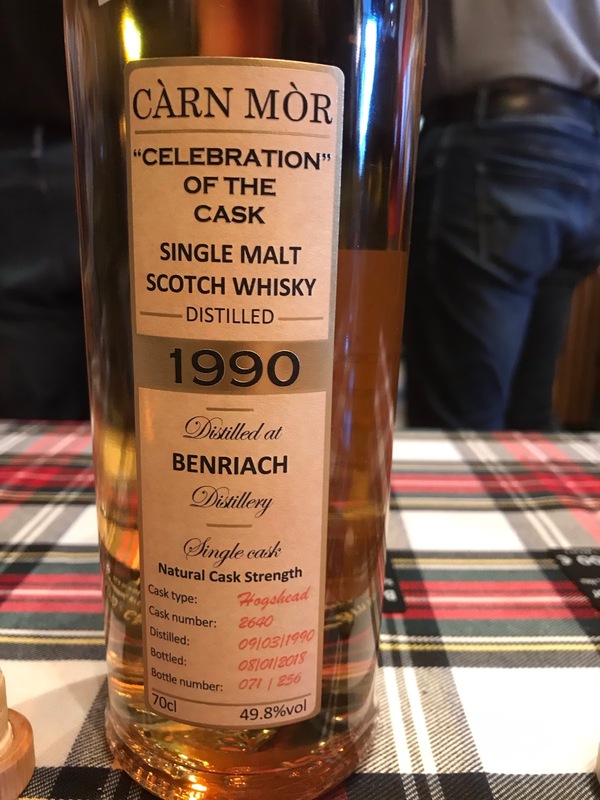 The prices are consistently going up, especially of the single casks but it seems people are still buying for the moment, so, long may it continue. I actually can’t remember where or when I tasted this first one, perhaps in a bar in Bristol on my birthday last year now that I think about it (BrewDog is the best). Nose: Buttery and oily from the off, intense peat of course, burnt grass clippings, young Ardmore-esque actually. Lemon, smoked pear and banana, green apple, a little smoked fish too. Taste: Very soft arrival, smoky pear, green apple, a little sour, some salt, then lots of peat and minerally stoniness. Finish: Short/Medium length. Goes suddenly buttery, a little smoke stays. Does what it says on the tin but young and lacking in the complexity department. Doesn't taste more peaty than the Curiositas, just younger. Nose: Leathery and old but still some fruit too, candied lemon peel, malt and chocolate, wet leaves and tobacco, candied orange peel, vanilla coming out with Victoria sponge cake, musky dunnage. Taste: Intense with these old leathery notes, damp tobacco, old dunnage wood then fresher with apple and malt, lemon peel, hessian, dry oak. Finish: Short/Medium length. Much fresher here with lovely orange and old furniture. Really good finish just a tad short. Bottled 2018 at 27yo, almost 28. A really good one. 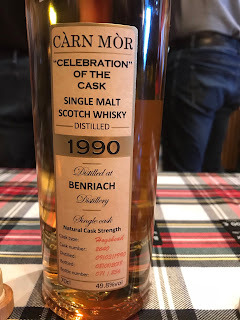 Carn Mor have been releasing a lot of older whiskies with lower strengths and I think the little higher strength on this one saves it from another high 70's score.